Located on the first floor of W Hong Kong, Sing Yin offers authentic Cantonese cuisine highlighting delicate dim sum, traditional delicacies and a sumptuous choice of freshest seafood dishes created by Chef Raymond Lee. 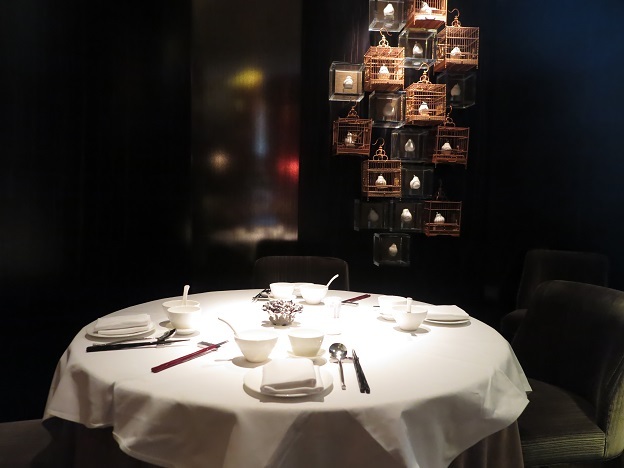 The recent KING OF THE SEA promotion had mylifestylenews back to re-visit this almost forgotten signature Chinese restaurant of W Hong Kong offering authentic Cantonese cuisine. The 112-seat restaurant, designed by international architect and interior designer, Steve Leung, recreates the unique features of Hong Kong’s streetscape in a groundbreaking contemporary sense, where guests can wander around, enjoy the peace and harmony at the foot of Lion Rock and discover the culture of the legendary cosmopolitan city. Rich in flavor; strong in looks, the king of seafood, lobsters, have returned to Sing Yin Cantonese Dining. Lobster fans can't miss this opportunity to indulge in a new sensation of their favorite seafood from Hong Kong. Starting from now to April 30, you can have a taste of their desired lobster choices amongst dishes prepared exquisitely by the Sing Yin team. The Sautéed Green Lobster with XO Sauce in particular is a delectable delight. Having been immersed in Sing Yin’s homemade XO sauce, the seafood flavor becomes more pronounced and heavenly thanks to the mixture of Jinhua ham and shrimp roe inside.